Over at the iSlaytheDragon headquarters, the topic of Theme often surfaces in our conversation. Essentially every single modern game has at least some theme attached to it, whether it be something extremely light such as in Money, or a bit more central to the gameplay like in Tobago, or the backbone of the game, such as Arkham Horror or Last Night on Earth. It may be the issue of creating a salable product – it’s my understanding that one cannot copyright the rules of a game, only the art and specific designs – or maybe just the goal of trying to make your product stand out in a crowd. Whatever the case, unlike the ancient classic games such as Chess, Go, or even Tic Tac Toe, modern games come inside shiny, colorful, packaged themes. The question is, then, does the theme of a game really matter? Is a game required to have a strong theme to be a truly great modern game, or is it better for the theme to take a backseat to gameplay? Leave your thoughts in the comments! For me, the theme of a game is pretty important. I think it sets the tone of the game and allows your imagination to run within the storyline that you are creating in the game, and that’s one of my favorite things about playing boardgames. I love the freedom that cardboard and plastic gives you to imagine the scenarios you are enacting with dice and miniature figurines. Video game developers always talk about their “immersive” games, usually referring to realistic graphics, but this is true immersion, when your mind can break free of what’s right in front of you, and explore new worlds and new dimensions of creativity. I will even go so far as to say – and I say this very carefully – that in some cases, the theme can actually completely make up for mediocre game mechanics – as long as the mechanics aren’t completely broken. Case in point: the game Last Night On Earth. As an extremely thematic Zombie survival game, LNoE is fun for the theme. It really makes you feel like your character is trapped in a town overrun by zombies. You can imagine the story playing out as actions happen in-game. However, as far as game mechanics go, it’s pretty luck-based. You have roll-to-move mechanics, roll-to-attack mechanics, random card draws… it all comes down the dice rolls, as far as who lives or dies, regardless of how strategic you try to plan your moves. But it is still an extremely enjoyable game, because of the art, the names of the cards, the card descriptions, the design and layout of the board… it’s just fun. That being said, a heavily thematic game with broken rules is still a broken game. If the mechanics get in the way of the theme, you’ve got a problem. I think if you have a mechanics-focused game, such as Chess or Go, you run into the trouble of a wide gap between new players and experienced players. I don’t play chess very much, in part because it doesn’t have any ‘story’ element to it, but mostly because you need someone at the same skill level, or at least close, to really enjoy it. 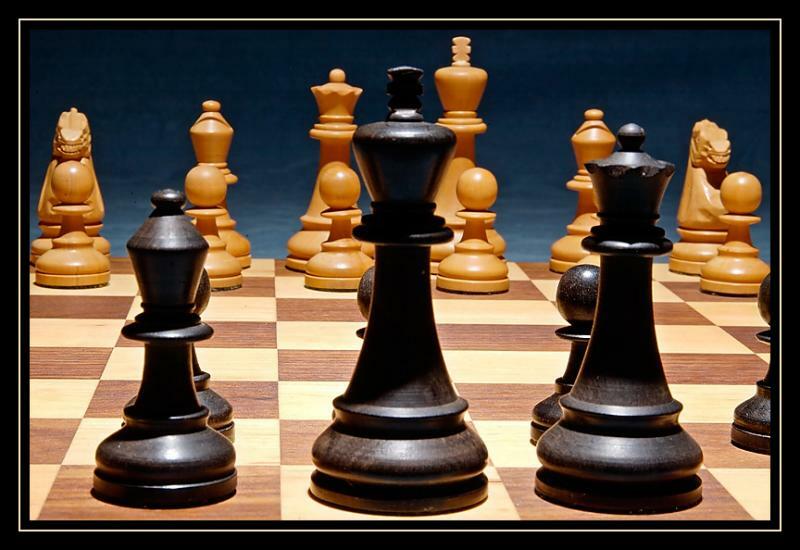 There’s nothing to make Chess fun for a brand new player playing with a highly skilled player, unless that new player is highly driven to learn and master the game of chess. Having a theme, even if it is a little on the lite side, adds interest for new or casual players. Tobago allows for some decent strategy, but it also provides thematic interest. Even if you aren’t the best player, you can still enjoy the concept of following a treasure map on a mysterious island. It’s a little more appealing to a broader audience. That being said, you can go too far in the other direction. 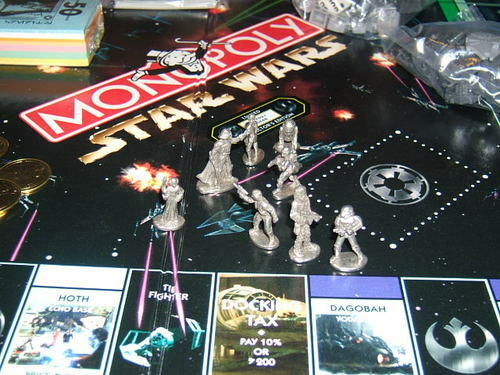 In some cases, the theme of a game can be a turn-off to casual players. If someone hates sci-fi, they aren’t likely to play a game in space. If Lovecraftian Mythos isn’t interesting to someone, they probably wont enjoy Arkham Horror. In addition, many of these heavily-themed games have a lot more complexity in regards to how they’re played – Android, Arkham Horror, even Cosmic Encounter or Smallworld – can be a huge put-off to new players who may feel overwhelmed with the number of special rules they have to learn. Everyone is different, so I realize not everyone may feel the same way as me about thematic games. I, however, find myself enjoying games with a strong theme more than those without – or, at the very least, games with a theme that allows some imagination and storytelling to come into play, if you would like. For example, Dominion, despite having a theme, doesn’t REALLY incorporate the theme into the gameplay. But, still, there is a theme, a small story behind the purpose of it all, which allows you to make up your own story to go along with the gameplay, and that I enjoy. As far as I’m concerned, the best games have both solid gameplay and a strong theme. In some cases one of those can carry a game that does not have much of the other, but I personally would choose a more thematic game over something like chess that, while having solid and proven mechanics, lacked the vibrance and life I feel a theme brings to a game. I’m not opposed to playing less thematic games, either. I can enjoy a game with fun gameplay, but I just tend enjoy the more thematic games. Theme may get people to pick up a box, but it’s mechanics that make them stay. In my list of things I value in board games, I did not include theme, and that was intentional. As far as board games are concerned, the theme is pretty unimportant to me. I don’t mind a game having a strong theme or story behind it—so long as that story does not get in the way of an enjoyable game. Sure, I like to look at nice art and graphics (who doesn’t? ), and I like it if the art makes sense with the rest of the game, but it doesn’t matter to me if we are underwater, in space, on a boat, in Medieval times, in Roman times, on and on and on. This is why abstract games don’t bother me. Good game mechanics cover a multitude of sins. I read books for stories; I play games for strategies. That said, there are some games that are elevated by their themes. I like Tobago better because of its treasure-hunting theme. The same with Incan Gold. My personal favorite maestro of theme (maybe because we have a similar dry sense of humor) is James Ernest, creator of Kill Dr. Lucky, Unexploded Cow, and others. I appreciate the creativity behind his backstories for the game, and reading his rulebooks is a delight. His themes make his games more enjoyable. But that’s also because the gameplay itself is enjoyable—a good theme can enhance a decent game, but no amount of theme can make up for a bad one. I view theme a lot like the laser pointer I bought on vacation in Tennessee when I was young. I wanted a laser pointer so bad, and the package called out to me from the shelf. It was a novelty. Against my parents’ advice, I bought the laser pointer, spending all of my vacation allowance on it. I used it often—for the first hour or two. Then it sat on my shelf until, years later, it was placed in the Goodwill box. How does this relate to theme? A game that only has theme going for it is a novelty, something to be played immediately, shown off once to friends (“You roll the pigs!”), and then placed back on the shelf until the next person who hasn’t seen it comes over. The Omega Virus, as much as I treasure this game from my youth, fits into the novelty category. It’s heavy on theme, but gameplay isn’t very fun (at least for adults). The theme is what brings it down once in a while, but theme is also what keeps it on the shelf the other eleven months between plays. 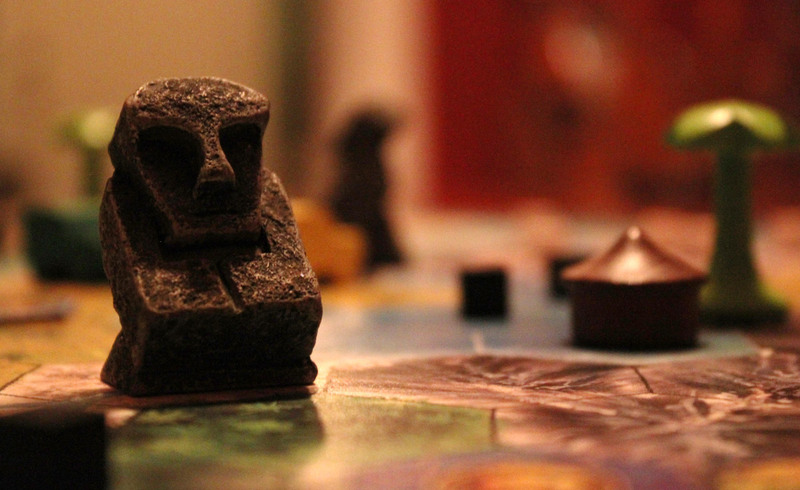 Let us know in the comments your own thoughts on board game themes! Next Article Friday Question of the Day: What is your favorite game, and why? The theme and game play are both equally important. They both feed off each other and make the other make sense. Themes can be interchangeable (for the most part), but it still needs to be there. That’s my feeling on the situation. Good discussion. I’m a big proponent of theme, but I think the best games are obviously the ones that can incorporate both theme and mechanics into a highly-engaging experience. I’ve noticed a strange shift lately in my gaming habits, though – games with interesting mechanics but with dry themes (such as Troyes) have started niggling at my brain more. This is a bit scary, as it makes me wonder if sometimes theme can get in the way of good mechanics. I must explore this soon. FarmerLenny, have you ever played Last Night on Earth? I’d be interested to hear what you think of it. I’m not personally all that into zombies, but I have to admit that the theme (in combination with the player interaction) really draws me in and gets me to have fun. @Kindros–It’s true that they’re both important, but I think theme is less so. This is how abstracts (like Ingenious) can still be enjoyable. @Chris K–I think Euros are what bring the necessity of theme down for me. @Lauren–I haven’t tried it. That might be a game where the theme could draw me in. It’s not that I’m opposed to theme; it’s just that it can rarely save a bad game, and the mechanics are much more important to me. 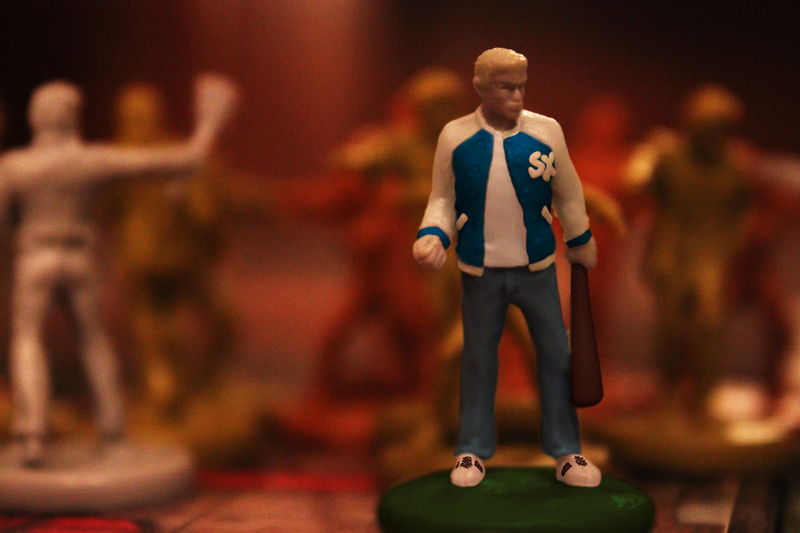 Wolfie spoke of immersion, but it’s rare that I find myself involved in the theme of a game. Settlers of Catan, Carcasonne, Cosmic Encounter, Race for the Galaxy, Dominion: I usually think of all these games in terms of pure mechanics. I suppose the exceptions are the games that pit my pawn against others on the board, like Frag or Scotland Yard; I conjecture that LNoE would also fit that category. But Sorry, Qwirkle, and Scrabble are fun with no story arc nor fancy artwork. Wolfie, Chess was one of the first games with a theme, albeit a loose one. It’s a battlefield and a game of political intrigue. Granted, the mechanics totally overshadow any thematic element. Perhaps the unifying element is whether the game engages the mind; some do so through story, some through function, some both, some neither. You might compare games to books. There’s excellent fiction that catches us up in the story; there’s excellent nonfiction that makes us think and solve problems; then there’s drivel in both categories. I guess i can see the point behind chess. Comparatively though, chess is almost theme-free. It’s clear that different people look for different things in their games – I still stand on the fact that I tend to enjoy a game more when I imagine a story playing out within a game. I know when I trash-talk afterwards it’s rarely about specific mechanics (With the exception of, perhaps, a particularly awesome evocation of mechanics) and more about the “story” labels on the cards or the imagined actions of alien races. Interesting discussion. For me, personally, theme is completely optional. I can enjoy abstract games like Yinsh, Dvonn, Abalone, etc, which have no theme whatsoever (and these have actually become some of my favorite games recently). At the same time, I occasionally will find a game that intrigues me with both its theme and mechanics. Honestly, the only one that comes to mind for me like this is BSG. For the most part, theme doesn’t really matter to me. As an example, you can compare San Juan to Race for the Galaxy. If their mechanics were reversed and their themes stayed the same, I would vote for the one with RftG’s mechanics regardless of it were in space or colonial times – it’s really the mechanics that work well that I enjoy. @Josh I realize that some themes are interchangable. It’s not the specific theme that really matters to me… I just like enjoying the theme of the game. I personally like scifi/space more but I would play RftG’s mechanics in an old-world style colonization theme. Either way I’m going to imagine the scenario playing out within the theme.